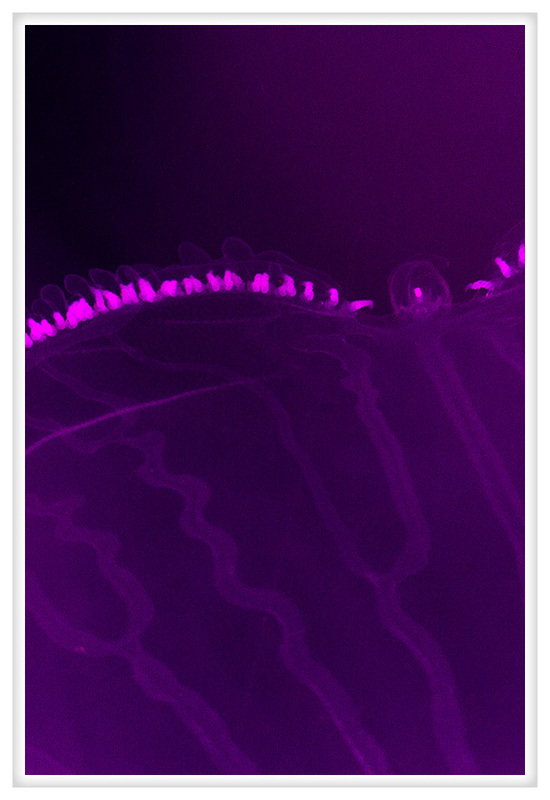 This is a macro image of the edge of a jellyfish. I like what I can only describe as veins as I suspect they must transmit some like of fluid. It is interesting and rather abstract, especially with the magenta light used to illuminate the tank.